The human brain: it’s an incredible, complex organ that gives us the ability to think, learn, feel, create, innovate, see, hear and experience life. As remarkable as the human brain is, we do become vulnerable to mental decline as we age. Research has helped us gain a greater understanding of various forms of dementia, particularly Alzheimer’s disease, along with other types of cognitive impairment and memory loss. There is still so much to know. One thing is certain. It’s important to pay just as much attention to our brain health as we do to our physical health. Eating well, keeping physically active, getting plenty of sleep and staying socially engaged are among the ways that aging adults can give themselves the best odds for maintaining mental sharpness. ACL falls under the auspices of the U.S. Department of Health and Human Services (HHS), which recently launched the “What is Brain Health?” campaign as a way to provide the public with information about how the brain changes over time and to identify steps that people can take to keep their brains healthy. The centerpiece of the campaign is brainhealth.gov, a resource hub that includes tips for talking with loved ones and healthcare practitioners about this subject. Do creativity and wisdom automatically decline over time? 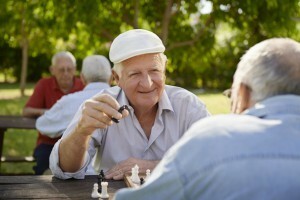 Do brain games like crossword and Sudoku puzzles help prevent Alzheimer’s disease? Is there anything you can do to reduce some risk to your brain over time? Are mental health issues such as depression an inevitable part of aging? Are all short-term memory lapses an early sign of brain decline?